The Chinese government has banned Muslims in the Xinjiang region from celebrating Ramadan, a traditional month long period of fasting and spiritual reflection. A spokesman for the exiled World Uyghur Congress, which promotes democracy, human rights and freedom for the indigenous Uyghur (Uighur) people, said authorities encouraged Uighurs to eat free meals, and inspected homes to check whether families were observing the fast. Several government agencies and schools posted the ban notices on their websites, saying it was aimed at preventing the institutions from being used to promote religion. Similar bans have been imposed in the past on fasting for Ramadan, which began at sundown Saturday. But this year is unusually sensitive because Xinjiang is under tight security following attacks that the government blames on Muslim extremists with foreign terrorist ties, according to the Associated Press. 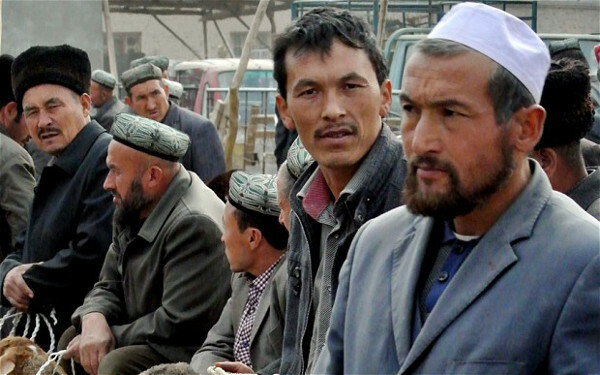 Violent clashes between Uighurs and ethnic Chinese has risen in recent years. In July 2009, conflicts between the Han Chinese and the Uighur erupted, killing nearly 200 people in Xinjiang’s capital Urumqi. During Ramadan, Muslims around the world fast from dawn to dusk and strive to be more pious. The commercial affairs bureau of Turfan, an oasis city in the Taklamakan Desert, said on its website Monday that “civil servants and students cannot take part in fasting and other religious activities,” according to the South China Morning Post. Xinjiang, also as known as East Turkestan, is an “autonomous” region in northwestern China, which is inhabited by the Uighur, a racially distinct Muslim minority with their own language who demand total independence from Beijing. There are about 10.2 million Uighurs in Xinjiang, according to a 2002 census (the latest available) conducted by China. The Uighur say they have often been subjected to racial and religious discrimination by the Chinese government. China accuses Uighur militants of waging a violent campaign for an independent state, and Beijing is often accused of exaggerating Uighur extremism to justify its religious crackdown on the Muslim minority.